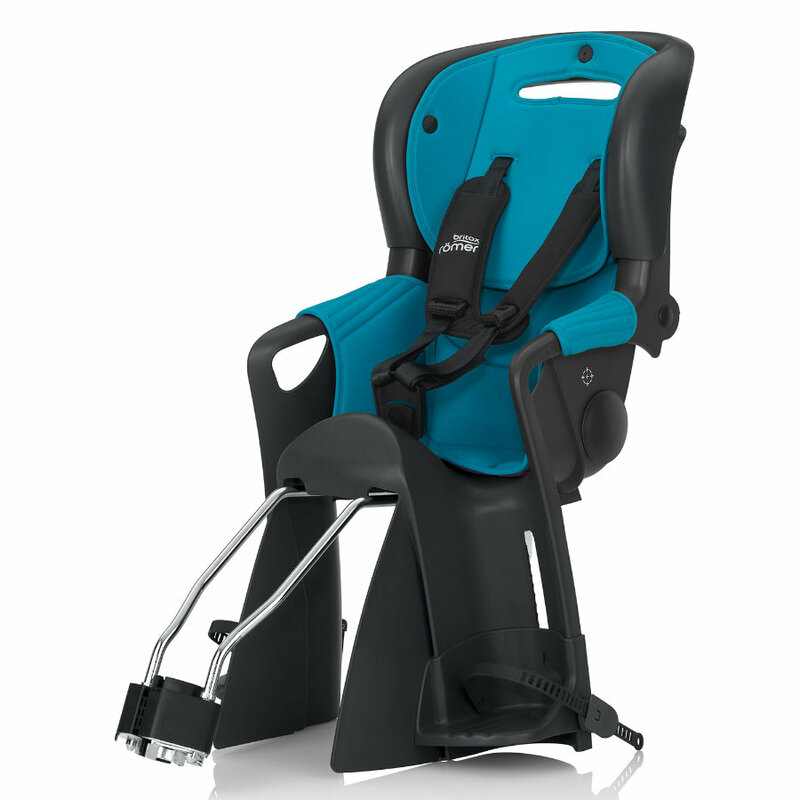 The Britax Römer bicycle seat Jockey Comfort offers optimal all-round protection for children. Equipped with a comfortable harness system, which is easy to handle, children are protected against falling down during a bicycle trip. An extra-large spoke protection, which also belongs to the bike seat as standard, prevents the small passenger from getting into the bicycle spokes and injuring himself. Last but not least, the quality of the bicycle saddle is characterized by the fact that it complies fully with the safety regulations according to DIN EN 14344. NOTE: The child may be carried in the bicycle child seat if it can sit freely. When it comes to safety for children on the road, nothing is left to chance by Britax Romer. The decades of experience gathered in autoclave seats naturally also flow into the construction of other Britax Römer products. Britax Römer points out in the instructions for use that parents should check the seat for correct fit before each use of the bicycle seat.